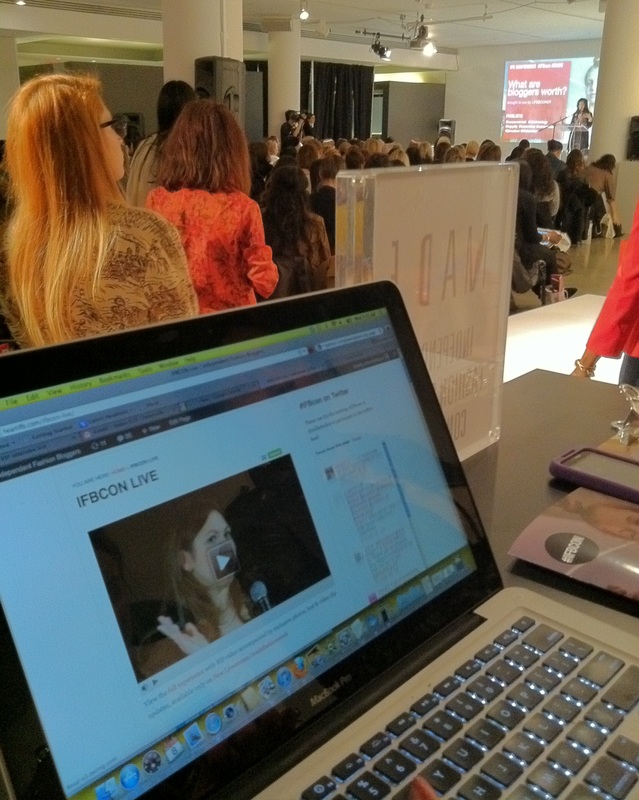 For the second year in a row, I was involved with the Independent Fashion Bloggers Conference at Milk studios. When anyone ever asks me about getting into blogging, I mention this conference to them. Almost any question that new or veteran bloggers have can be answered at this conference. It happens twice a year and always has some great panelists. These are a few pictures I took on my iPhone as I was tweeting, updating my Facebook, instagramming photos, and making gifs from the event. 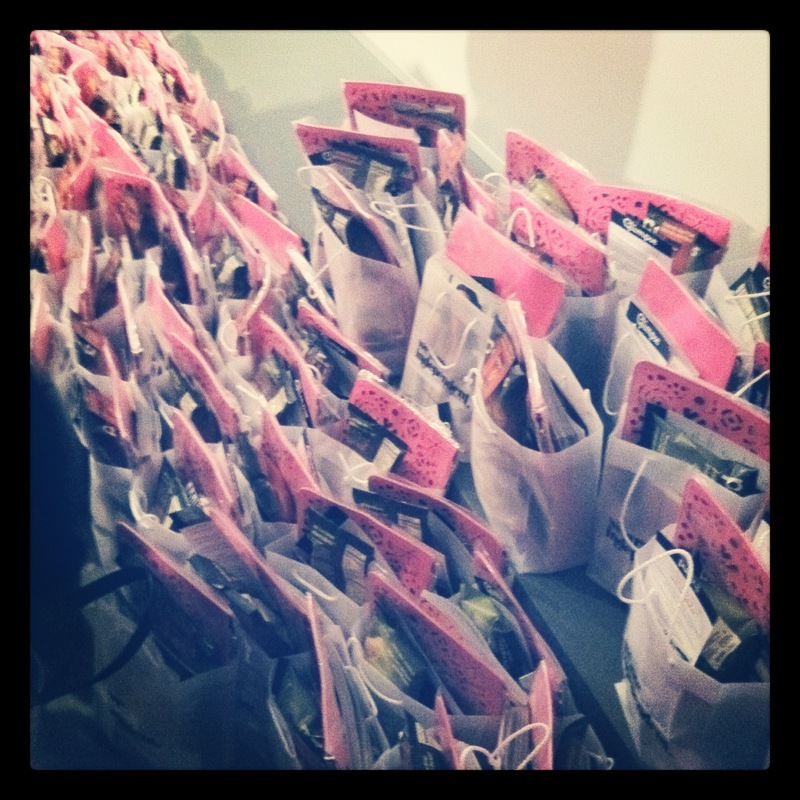 All of the guests who purchased tickets receieved gift bags which were of a pretty high value. I can only imagine the amount of coverage each of the sponsors has gotten already/will get from the bloggers in attendance. Each gift bag included an ASOS brand Lazer Cut Zip Top Clutch, Bauble Bar’s Pearl Jam Necklace, a gift card from Lifebooker.com, nail polish and nail polish remover from my favorite company, Zoya, a $39.95 credit from JustFab.com where everything is just $39.95, Pop Chips, 4 Think Thin protein bars, the March 2012 issue of Glamour magazine, make-up, and of course, a notebook. 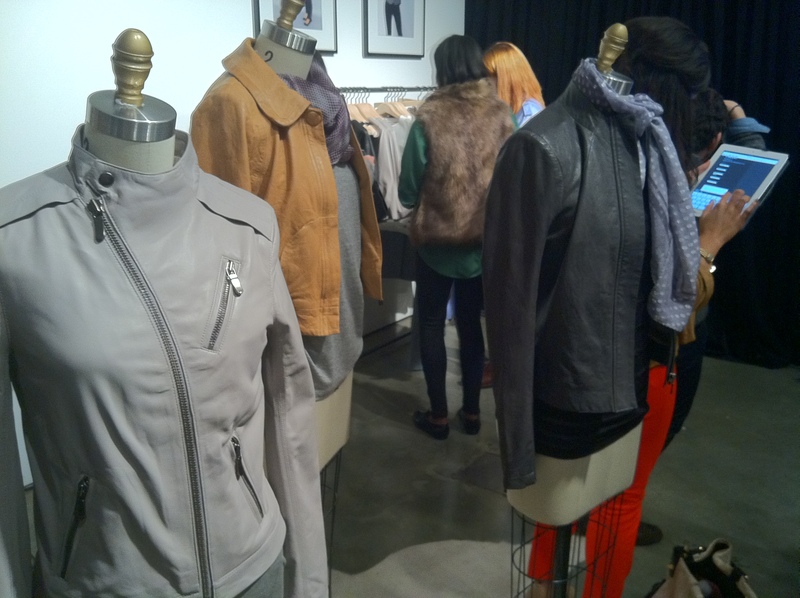 J Brand was also another sponsor of the event. They had a booth set up where guests could create entirely new outfits or mix and match pieces form J Brands latest collection with what they already had on. Those who participated in the “Style Showdown” got dressed up, took photos, and competed against other guests for the best look. Whoever was voted to have had the best look won a $1000 gift card to J Brand. It has to be a myth that people in the fashion industry don’t eat because when the 12:30 lunch break came around, I witnessed the most aggressive crowd ever going for all the sandwiches, cookies, and brownies they could get to. I guess models are the only ones who can run on coffee and carrot sticks alone. 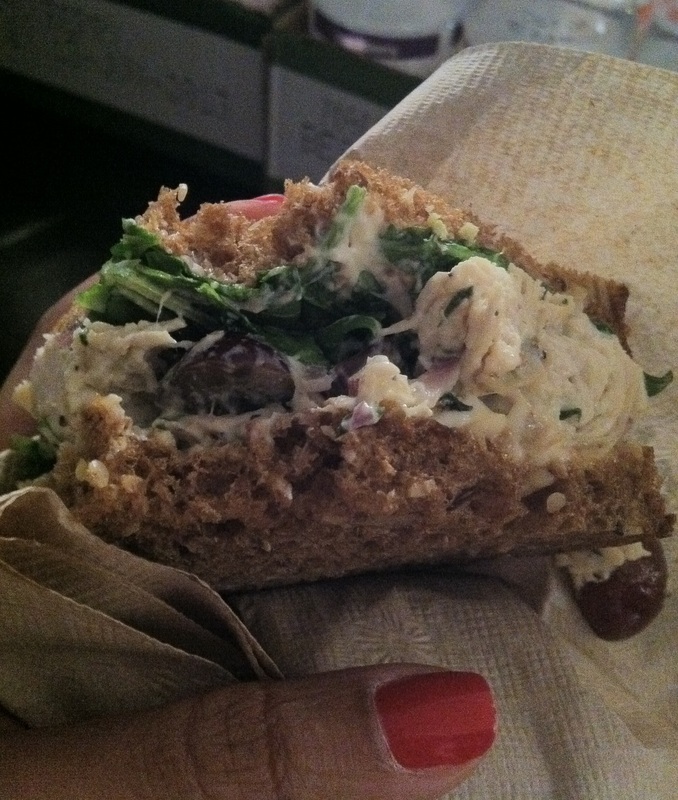 I grabbed what I believe was a chicken salad sandwich on whole grain bread with arugula and red grapes. 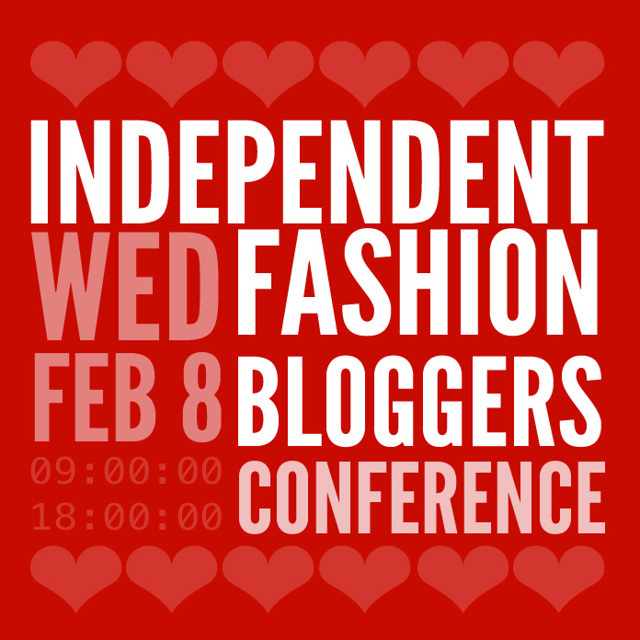 And what would a blogging conference be without live coverage? For a link to (what was) the live blogging coverage of the event, click the image below. This entry was posted on Friday, February 10th, 2012 at 3:52 pm	and is filed under EVENTS, FASHION. You can follow any responses to this entry through the RSS 2.0 feed. Both comments and pings are currently closed.